You have been organising great events. Attendees come in with high hopes, leave with higher ideals, a new mindset, a happier soul or a rekindled spirit. 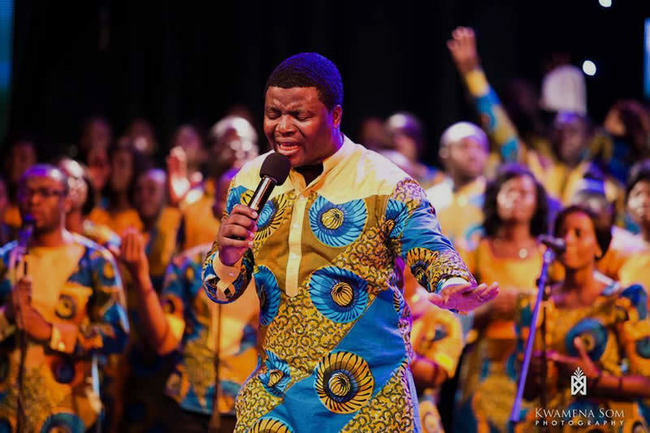 You’re touching lives! You do your best to offer a great experience:from selecting the right venue to picking the best date. Most importantly, your high standards means you’re making sure every experience is necessary, convenient and useful to your attendees. EVERY EXPERIENCE!…except ticketing. We feel your pain. Your simple quest to sell a seat to your event always turns into a complex maze of activities that overwhelms you and your attendees. From print-houses to partner sales shops, supermarkets and other middlemen this labyrinth adds unnecessary costs along every turn. The outcome? An overpriced paper that is a hustle for your fans to get in town and a sales process thats almost impossible to monitor for timely decision-making.More insult to injury, you have to worry about ticket forgery and how you’re going to make sure whoever walked in has paid up. Isn’t it a miracle anybody gets an event going these days? The Internet is transforming industries and businesses for the better. What stops it from transforming yours? Why won’t you let it? 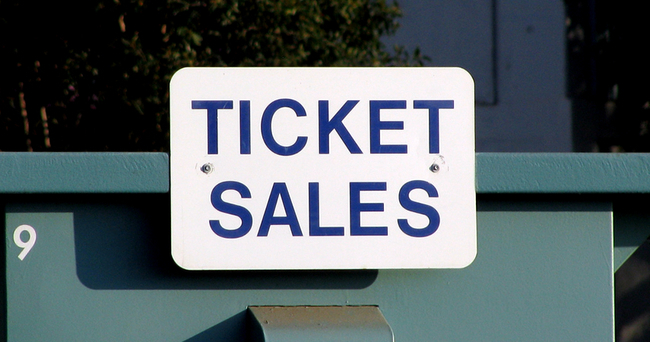 What will you tell your grandchildren when they ask why you didn’t sell tickets online? (You tell me). You save costs, particularly printing, when you convert from paper to electronic tickets. Now to the juicy part:the Internet reduces the cost of distributing digital goods dramatically. No CDs, floppy disks or any of those things that used to make you choke on the mention ‘IT’. Plus the rise of adoption of Internet-enabled pocketable computers (a.k.a smartphones, that jargon you’ve probably been meaning to ask about) means your customers can get your tickets wherever they are at any time. There’s more. There are Internet technologies available that solve the problem of fake or stolen tickets orders of magnitude better than the alternative solutions in the world of traditional event ticketing. Oh yeah event ticketing can be this convenient, which is why your sticking with tradition is making life more stressful for all of us. You are the reason we created Egotickets. So you don’t need to be a techie to adopt e- ticketing…so you don’t need to hire an army of consultants to figure it out…so you can focus on your best work: touching lives. 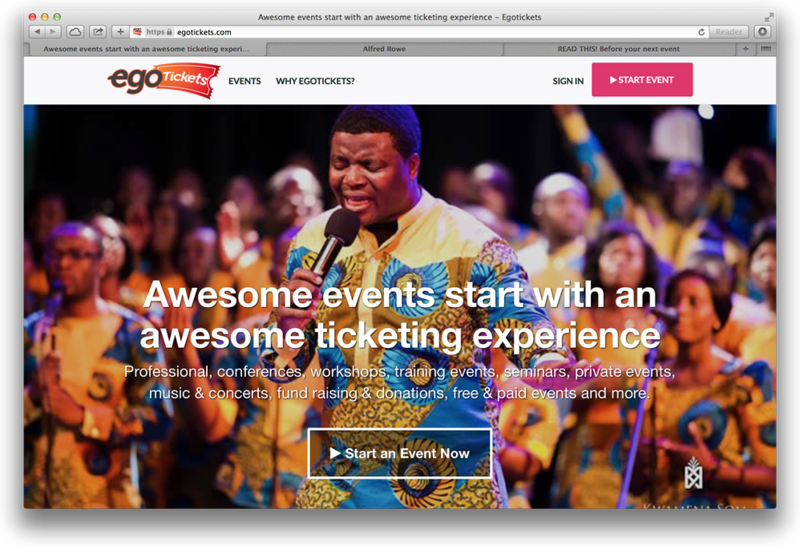 Egotickets allows you to easily share your upcoming event’s details on the Internet and accept payments for tickets via VISA/MasterCards, Mobile Money or MPower wallet. 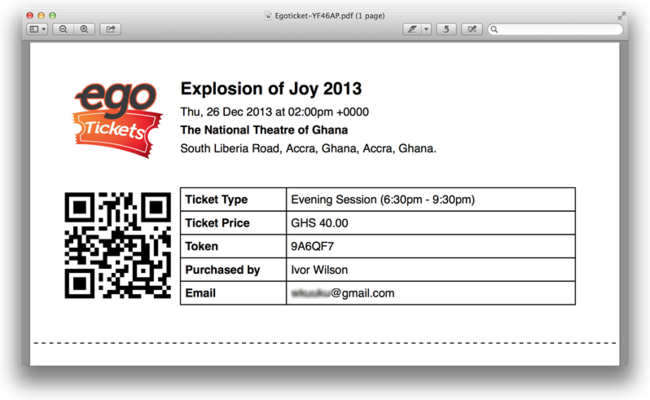 Attendees receive a unique token via sms and an e-ticket in the form of an e-document with a unique stamp of a QR code which can be verified Egotickets Manager: a mobile app that authenticates the tickets. 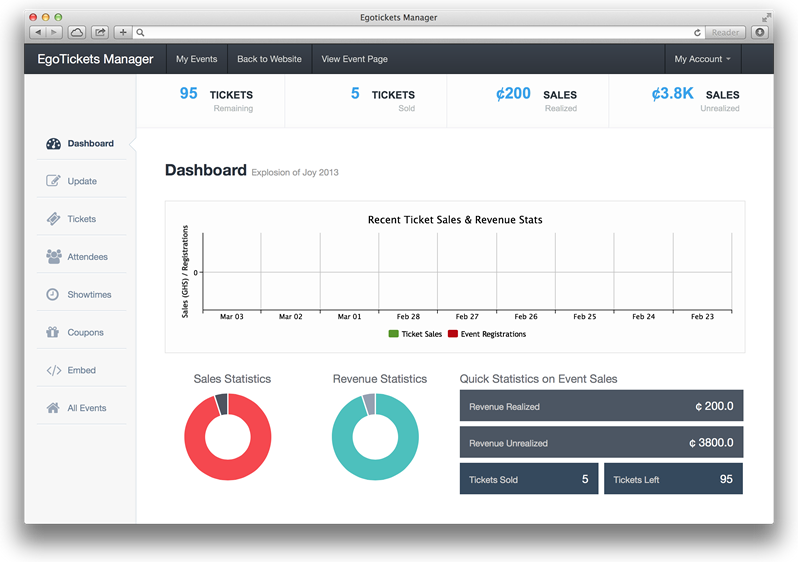 Egotickets provides a well designed dashboard from which you can monitor the sales of your tickets and to access information about your attendees. Your attendee information is available for your use for any new event anytime. 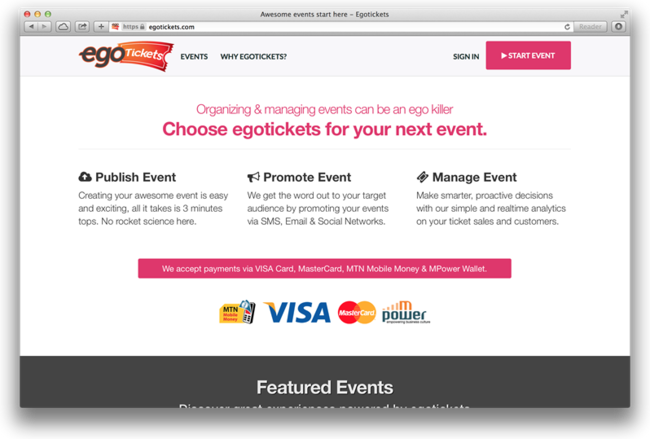 We understand that not all your events are pay-to-attend so we we’ve made it possible for you to list an unlimited number of free events and have your attendees register on egotickets.